Faculty and students spend quality time outside classes and research labs. The following are some of those activities. The beginning-of-the-year picnic is designed to give a kick-start to the new year and to welcome the 1st-years into the I/O family. 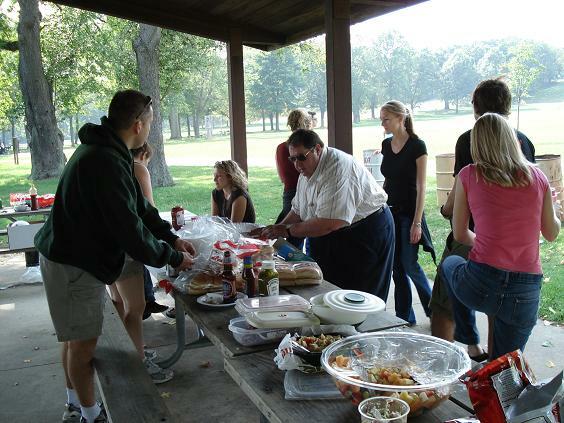 This picnic is full of fun activities. Chinese New Year party hosted by Dr. Dickson. The Alumni Reception at SIOP provides a way for alumni to get together with old friends from the program and to mingle with current faculty and graduate students. During the end of the year picnic, students and faculty get together to recognize their accomplishments and to conclude the academic year.